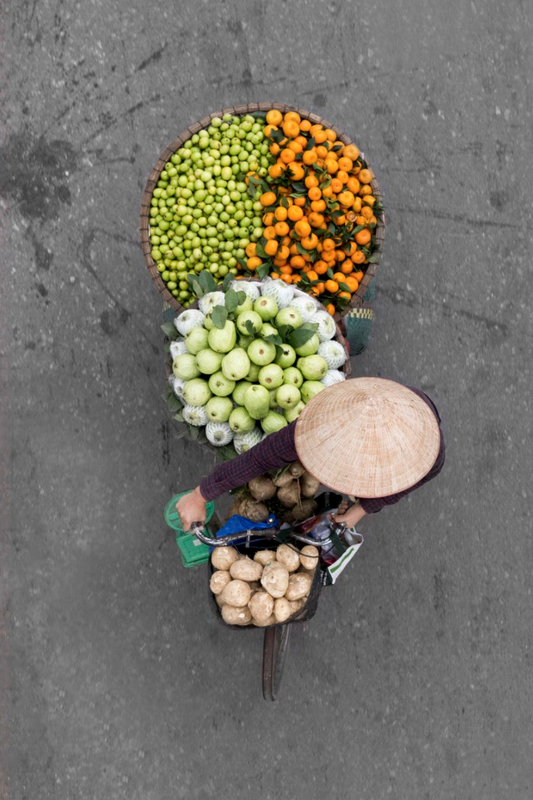 Standing amid the bustling streets of Hanoi’s Old Quarter is one of my fondest memories of Vietnam. 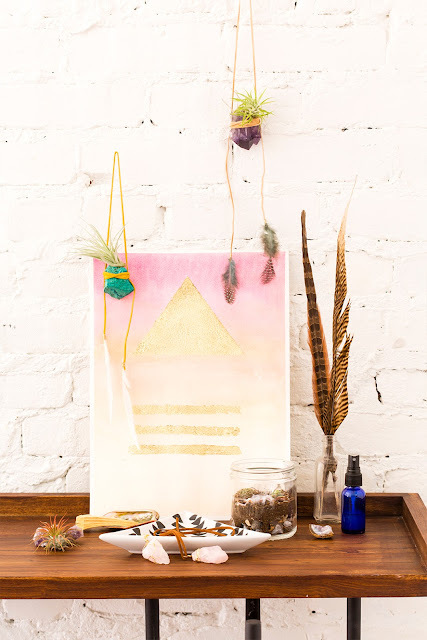 Your senses are abuzz – and that’s not just the Vietnamese coffee kicking in. 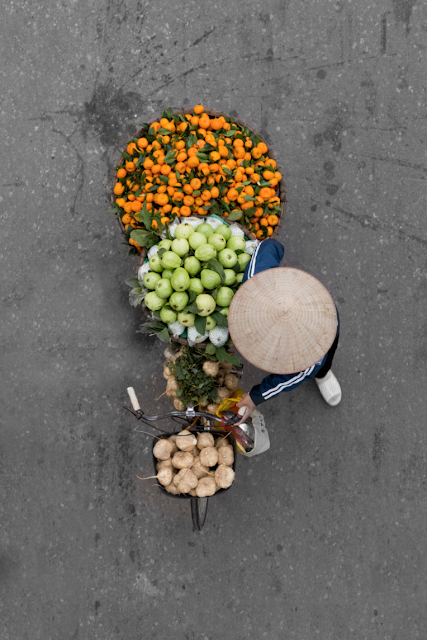 The smells from street food and the sounds of vendors is awakening. 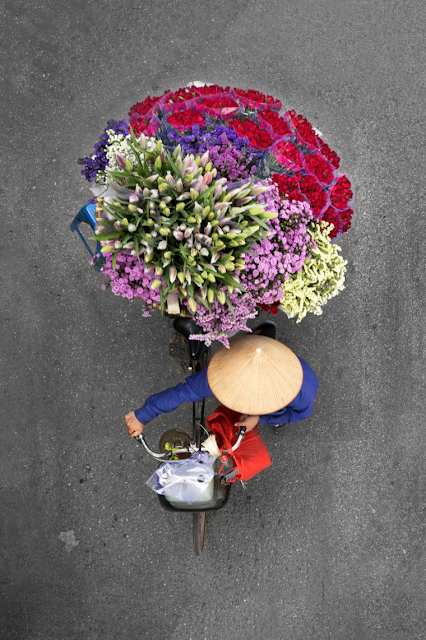 And bicycle after bicycle, packed high with flowers, vegetables and fruit, are like explosions of color whizzing by. 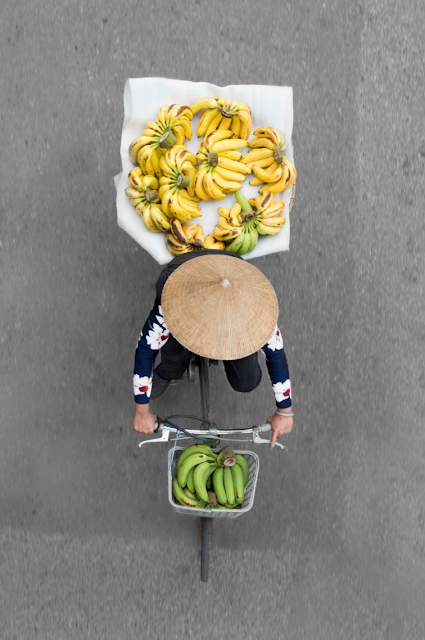 It’s like nothing you’ll ever experience, which is why I absolutely love this series of bicycle vendors from above, photographed by Loes Heerink. 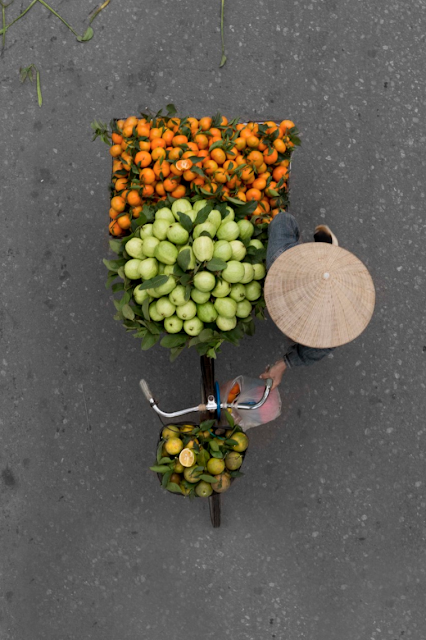 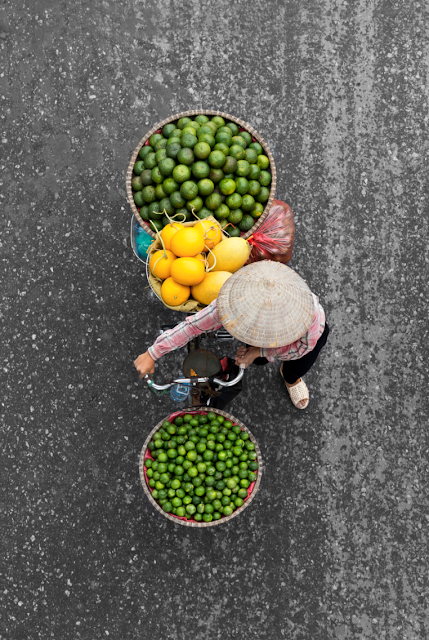 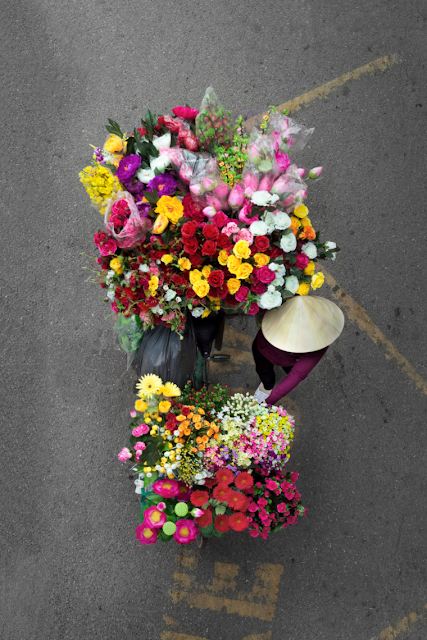 The photographer posts up on different bridges around Hanoi to capture the vendors as they ride beneath her. Although there’s no shortage of bicycle vendors, you can imagine how much patience it requires to capture the right shot. 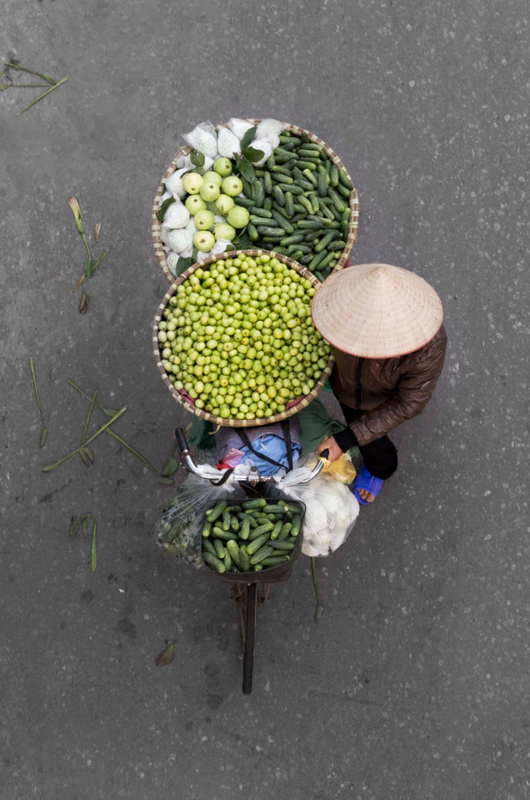 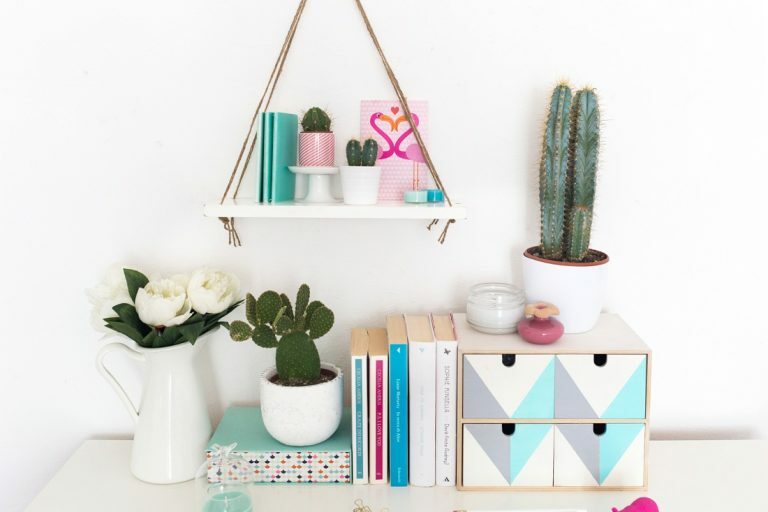 Can you imagine toting around all of that beautiful cargo on a single bike?! Amazing.